Hazmat (or HAZMAT) is an abbreviation for hazardous materials, often referred to as dangerous goods. Hazardous materials are largely defined and regulated by a handful of government agencies including the Occupational Safety and Health Administration (OSHA), the Environmental Protection Agency (EPA), the Department of Transportation (DOT) and the Nuclear Regulatory Commission (NRC). Each regulatory body has their own definition for what makes a material hazardous and OSHA defines it as any substance or chemical that is a physical or health hazard. Chemicals that fall under this category include corrosives, toxic agents, carcinogens, combustible or flammable substances, oxidizers, and more. 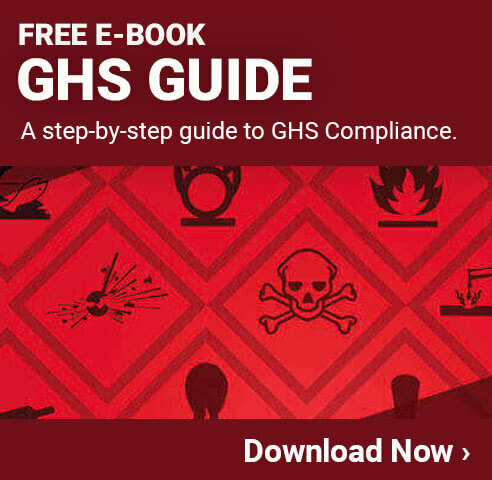 The Globally Harmonized System of Classification and Labeling of Chemicals (GHS) in the most widely applied hazmat regulations across the world. Since its development, many countries have aligned with GHS and it has become the standard for transporting, labeling, and classifying hazardous materials. OSHA passed an official ruling to align their HazCom Standard with GHS in 2012 and has since been fully implemented. Additionally, OSHA has developed Hazardous Waste Operations and Emergency Response (HAZWOPER), the standard that regulates the handling of hazardous materials and the response to incidents relating to hazardous materials. Standards developed by GHS and OSHA are not the only hazmat regulations that employers need to be aware of. For instance, the EPA regulates chemicals and substances that may impact the community and has set forth specific and detailed rules for disposing of hazardous material waste and proper environmental clean-up under the Resource Conservation and Recovery Act. Additionally, the DOT regulates the safe transport of dangerous goods through the Hazardous Materials Transportation Act and the agency follows the UN model for classification and labeling. Another standard to take into consideration comes from the National Fire Protection Association, who developed what is known as the NFPA diamond or safety square. This color-coded diamond is designed to quickly communicate with emergency personnel and aid them in determining the proper procedures or precautions that must be followed.